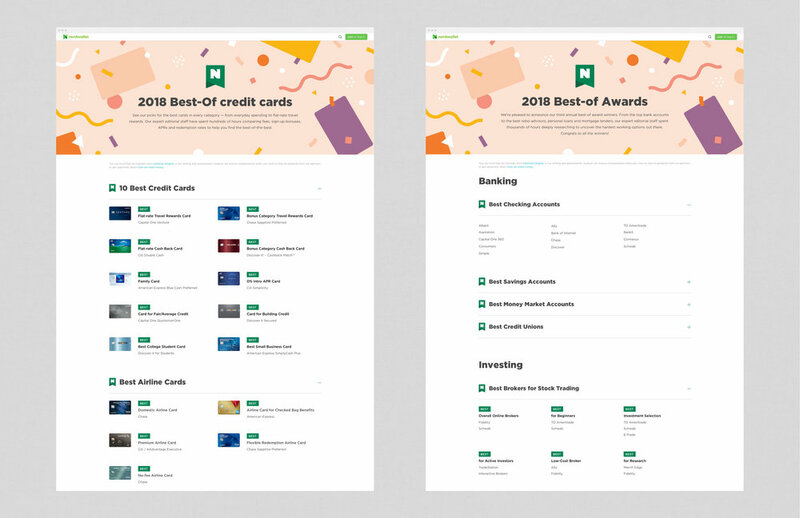 For 2018, NerdWallet wanted to build on the previous year's Best-Of Awards program celebrating our financial partners. We wanted to increase awareness of the program twofold, the first through multiple marketing channels, and the second by broadening the award categories. I chose to take a festive spin on our new brand expression to highlight the premium and celebratory aspects of the campaign.